With the separate lounge, the Stable Suite has sufficient space to add 2 z-beds - one in the lounge and one in the bedroom, to accommodate a family of four. It should be noted that this room is a split level room, with the bathroom up 6 steps and so maybe unsuitable for some guests. 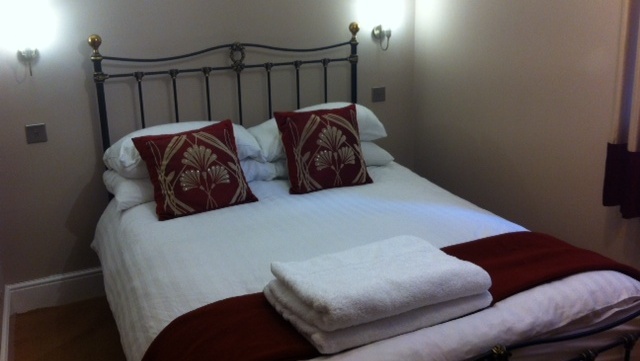 The cost of this room is £100 per night for a family of three, plus £15 for an additional child.